Since September Dr Jon Patrick and and Art Psychotherapist Kate Pestell have been training the ED staff in mentalisation. So as a team I think we are pretty empathetic, this slips the busier and more stressed we get. When it slips we have negative team and patient interactions. The question is can mentalisation help us improve the care we give to our patients and strengthen our team relationships? The term mentalisation refers to the ability to reflect upon, and to understand one’s state of mind. The one-day training sessions are continuing in to the New Year so if you haven’t had the chance to attend one yet please chat to your line manager. Jon and Kate are running twice weekly sessions in the ED teaching room from 09:00-10:00 on Tuesday and Thursday mornings. These are open to everyone (whether you have been on the one day training or not). They are happy to discuss difficult cases or teach new techniques for mentalisation. We are very grateful to the Edinburgh and Lothians Health Foundation for funding this project. To DAT or not to DAT, that is the question! You can see from the pictures that some diphtheria pseudo membranes are fairly obvious. Nobody would miss that. 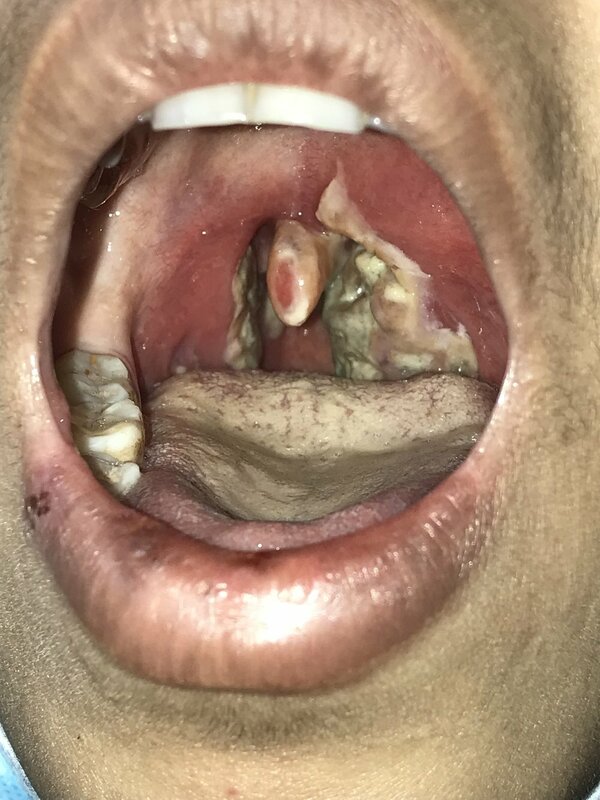 Many however are far trickier and as doctors we all have different thresholds for what we would treat with DAT - diphtheria anti toxin. We’ve had a couple more significant reactions to the treatment and of course there isn’t an endless supply. Also it’s incredibly time consuming and as a team we can only DAT 3 at once maximum. Interestingly we are seeing less children these days and more adults, particularly working men. This is a worry as this population isn’t vaccinated as the WHO vaccination campaign has so far focussed on the under 15s. Less paediatric patients reassure us that the vaccination programme is working at least and there’s talk of extending it to adults soon. This last few days of the trip has been focused on our exit strategy. Our wards are closing and we will no longer give DAT in our centres. 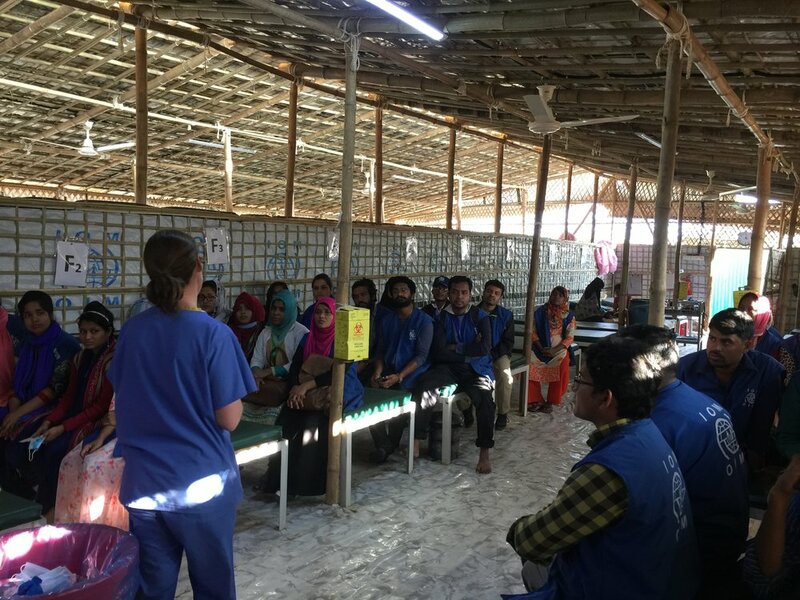 The local staff will provide a triage service only and refer potential diphtheria patients on to MSF for treatment. Training them in referral, transfer and triage is the most important aspect of what we are doing now. Both the medical and nursing teams we leave behind are motivated but very junior. My training was fairly straight forward - ABC’s and resuscitation of the sick child. It was well attended. 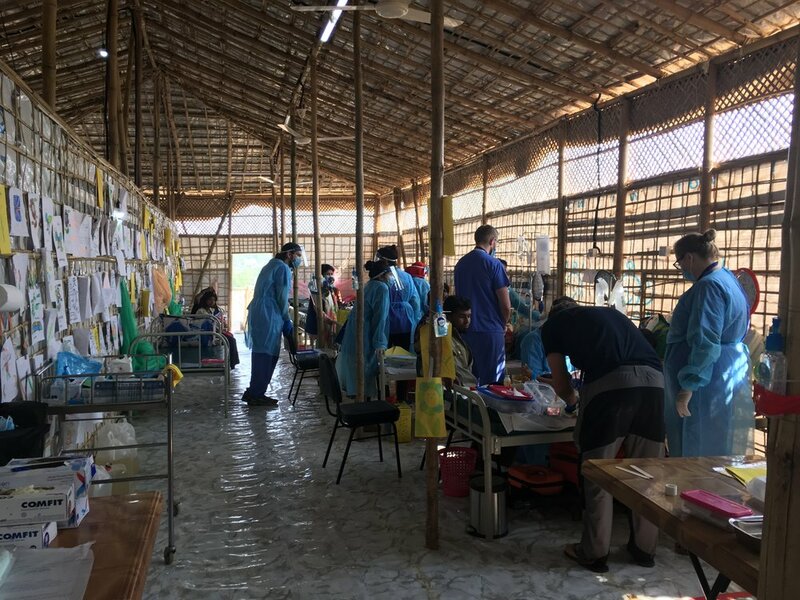 We visited an MSF camp today as well as the Malaysian field hospital. Very impressive set ups. We all know that cholera is coming next and facilities are being prepared for this. 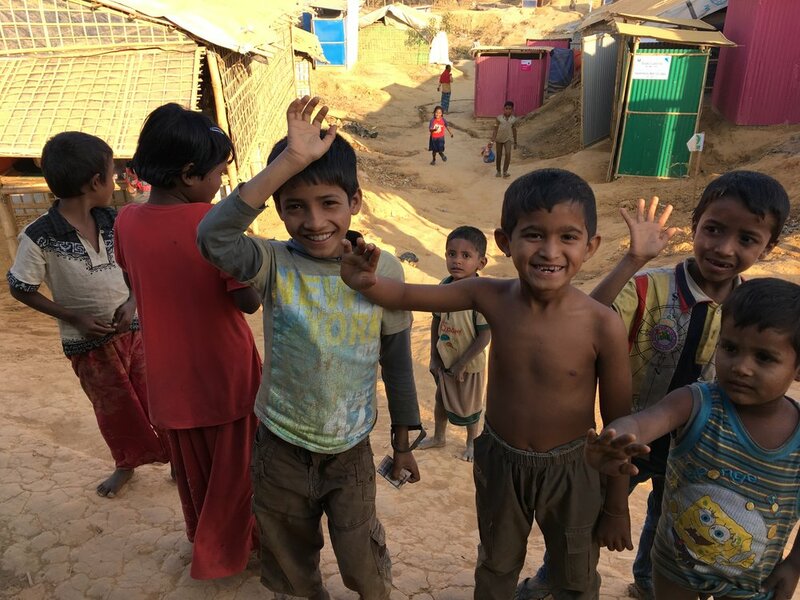 The mud huts and roads of the refugee camp will become a wash in the monsoon and the threat of typhoons snd hurricanes are always present... the next outbreak is on its way. Interestingly there are still new people arriving. We see them leaving the holding centre with their initial ration pack donated to them to make some sort of life here. There is a sadness at leaving this place. It’s been an amazing experience. Our team has gelled really well and in these circumstances that doesn’t always happen. We feel to have been part of the local Bangladeshi team too and some of them move on now as we do. And of course we leave the Rohingya. A population of people who wish to live in safety and peace. It is very humbling when you pass a family the apple from your packed lunch and a boy splits it into 9 pieces to share with the entire family. It makes you realise how lucky you are. And yet on the other hand as I leave the dusty streets with children waving goodbye to us I am reminded that whilst they have little of material value, they have family and community and hopefully some healthcare that we have been part of providing. From ED research nurse to volunteer in Laos, an inspiring story. 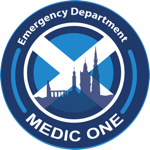 We often say that our skills in Emergency Medicine are transferrable across a number of vocations and different environments. Mia Paderanga, one of our ED research nurses, has certainly put that to the test! Here's her account of working as a volunteer nurse in Laos. Words cannot describe the anticipation and the excitement that I felt the moment I landed in Laos. I was in awe seeing the landscape of Laos from my tiny little plane. I looked down with such amazement at the vastness of the Mekong River carving its way through rich tropical mountains with no concrete buildings in sight. I'm finally doing it, volunteering as a Nurse in a developing country - the thing I've always dreamed of but somehow never had the courage to do. Now I'm finally here. I was very fortunate to be given the opportunity to work as a volunteer nurse for the charity, Friends Without a Border (https://fwab.org/). This is a non-governmental organisation dedicated to providing free high-quality health care to children. They run a small Paediatric hospital consisting of a 24 bedded In-patient ward, Outpatient Clinics, a Neonatal ICU, an Operating Theatre and a 24 hour Emergency Department. I arrived in the hospital early in the morning, and already a long queue of patients was waiting to be seen in the outpatient clinic. The inpatient ward had no empty beds and in the ED were a couple of critically ill children undergoing resuscitation. There was a feeling of chaos as if I had just entered a battle ground, but behind the entire buzz, there was a sense of calmness from the local team. I noticed a strong sense of teamwork and comradery. Perhaps it is in the culture of Laos to be soft and calm; an admirable trait which everyone seems to have. I was welcomed by everyone with such warmth and a welcoming smile. I automatically felt at ease with the team and it didn't take long for me to feel like I am a valued member. As a volunteer nurse my main responsibilities are to provide clinical supervision as well as teaching and assisting with patient assessments, and overall patient care. On top of this, we also manage the patient flow of the whole hospital. I won't deny feeling absolutely overwhelmed on my first day. The challenges that this type of work presents are surely different from the ones we face back home however, the highlights are profoundly rewarding. As a charity run hospital, I was impressed by how well established the hospital was despite only running for two years. They have set evidence based protocols and guidelines. They have equipment and supplies of medications that although basic and limited, can be considered quite advanced for the setting. The ethos of the hospital is to “treat every child as if they are your own", and this resonates in the attitude and work ethic of the local staff and the volunteers. Despite all our efforts to provide the best health care, we face many challenges due to our lack of resources. It is particularly difficult to see a child have a less of a positive outcome simply because we have no access to certain medications, or that we don't have equipment to do diagnostic tests or to provide life support in critical conditions. At times we have had to send patients home with nothing but our sincerest apologies to offer, as we have no other means to further provide treatment. This is heart-breaking especially knowing that in developed countries, these children will have had a completely different outcome. Despite this, I have witnessed many patients recover and defy poor prognosis which I can only describe as something short of a miracle. There is no doubt that the hospital gives many of the Laos children the opportunity and chance in life that they would otherwise have not received. There is a real sense of sincere gratitude from the parents/families of the children we see. A refreshing change from what seems like a growing culture of entitlement often seen in more developed countries. 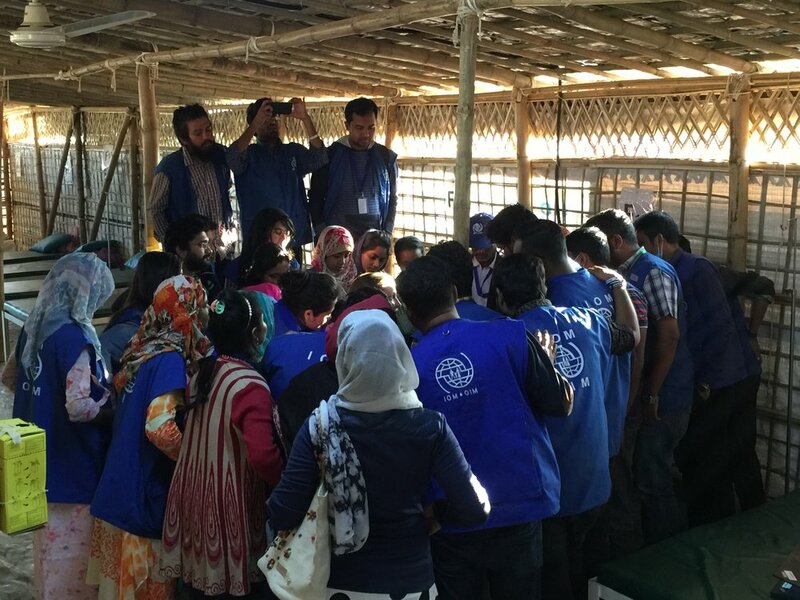 One of the most challenging aspects of the job was communicating with both the staff and the families. I knew I needed to adapt my way of communicating in way that is respectful and sensitive to each individual's level of understanding of English. I quickly learned a few common Laos phrases and with some help from the Laos staff, was able to communicate effectively in the best way I could. The families and the children also got a laugh out of my accent and more often than not my mispronunciation of words! However, they are more than appreciative with my efforts to learn their language. And with my broken Lao and strange "phalang" (foreigner) accent the locals are quick to respond “boh pan yang" translating to "no worries"! Coming here has opened my eyes to different forms of health care and the ability for people to make the most of what they have. This has truly been a life changing experience for me and one that I will forever remember. I go home with the knowledge that this experience has helped me develop professionally and more importantly I feel I have grown as a person and gained lifelong friends along the way. I feel grateful for the support and encouragement I received from families, friends and colleagues who made this journey possible. I am humbled by this experience knowing that in some small way I have contributed in making a difference in this small corner of the world. I strongly encourage others to take the leap and volunteer. I was woken this morning to the call for prayer as usual at 5.30am, managed another 40 winks then up for breakfast and the usual chaotic drive to the clinic. Today was a fairly quiet day, it’s friday the holy day... around 4pm in comes a wee 4 year old who we had already treated two days ago with the anti toxin for diphtheria... she was floppy, very dry and had sats of 99 but a heart rate of 30. I didn’t quite believe it at first but listening in it sounded about right and on a monitor she had flutter waves with regular escape beats. We gave her a fluid bolus and after a lot of phone calls we transferred her to the MSF centre. Realistically they don’t have a lot more equipment than we do and in hindsight we probably should have just kept her. She had bloods with a creatinine of 700 and never produced any urine despite trying frusemide and I just heard that she died yesterday. Very sad and to think how little we were able to do for her and how much expertise would have been available in the UK. I guess this is what humanitarian work is. At least she was comfortable and with her family at the end. Today we have had a surge of mumps cases. It seems there’s another outbreak. The WHO have vaccinated for measles and rubella but missed the mumps. The local population aren’t vaccinated for mumps and politically it’s seen as inappropriate to provide better care for the refugees than is provided by the government for the local people. Seems crazy! And I wonder how many host locals will end up with mumps.. we’ll see. Trouble is the ‘bull neck’ of diphtheria can look just like bilateral mumps and even the google images use the same photos for both! With no diagnostic facilities this makes deciding who to treat with the toxic horse serum for diphtheria very tricky. We are seeing the face of a changing outbreak every day and are learning and adapting with it. The team really comes together here. The epidemiologists are working hard to track the outbreak, organising data trying to work out what the treatment effects are and how good our case definition is. Hopefully we get it right most of the time. 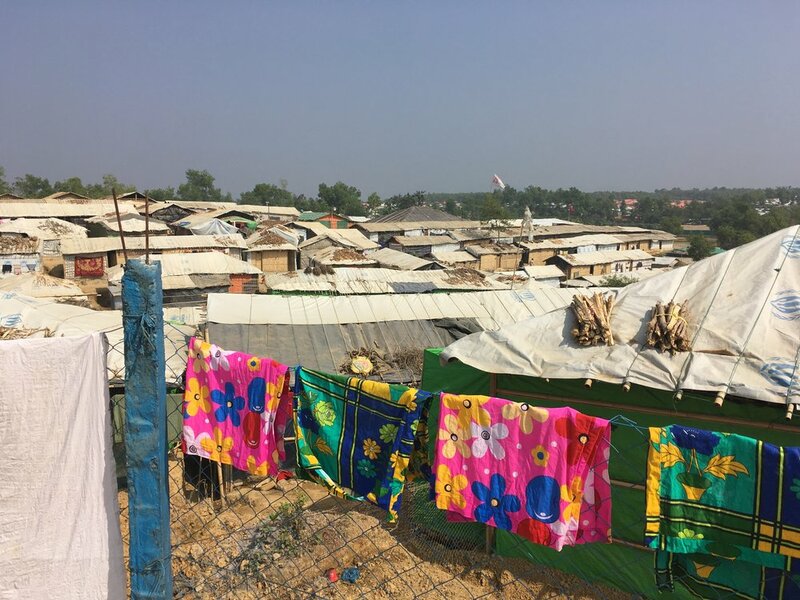 I had my first 24 hour shift yesterday.. it definitely makes you feel slightly vulnerable when you are left with your buddy in the middle of a refugee camp. The security guys are always available on the phone and it is reassuring to know that the would come running if we needed them. The background noise is quite something with tannoys blaring, tuc tucs honking, people cramped close together and the regular prayer call.. army ration packs keep us going and the thought of a donut handover as the day team arrive. At least we’ve got a kettle now and can make a decent brew (tetley of course). Second day back at AA clinic. We are running 3 treatment centres in total and the docs rotate.. it’s been a fairly busy day with 83 triages and 3 anti toxin treatments.. still two to do. 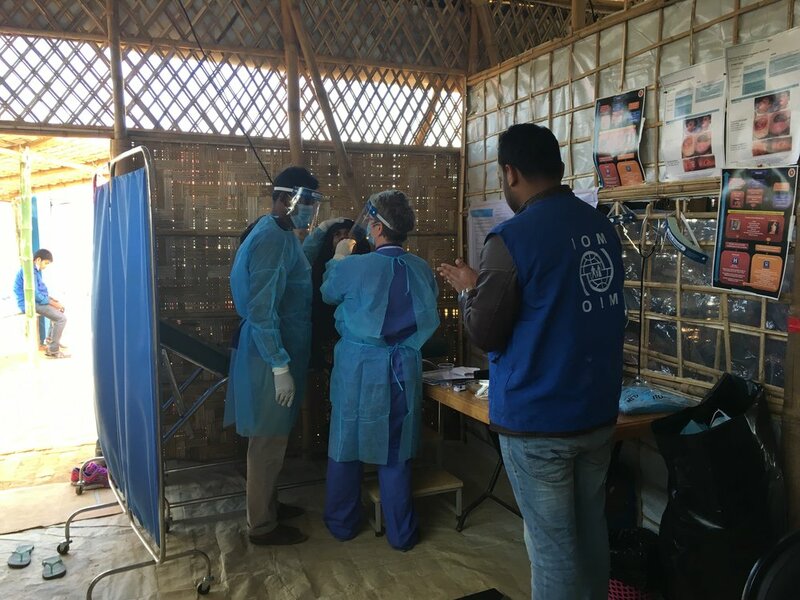 Only one clinic stays open at night so we were about to transfer two patients when we were informed of a demonstration of two groups in the camp- the Rohingya who are demonstrating about plans for repatriation back to Myanmar and the Bangladeshi who want their land back.. you can see the difficulties. The refugees have no where to go and their home is not safe. They would rather stay here where there is food, water and health care. The host nation however understandably are not happy. This is a tourist area and farming land has been used for the camp, never mind the influx of disease and the use of precious resources. Even the elephants are protesting with two reported attacks, this was their land too!! Either way it was thought not to be safe and we left camp mid afternoon.. no overnight treatment tonight... but at least we are all safe. I have my 24 hour shift tomorrow... hopefully it will be less eventful..